Decent weather and plenty silver. Nothing overly old. 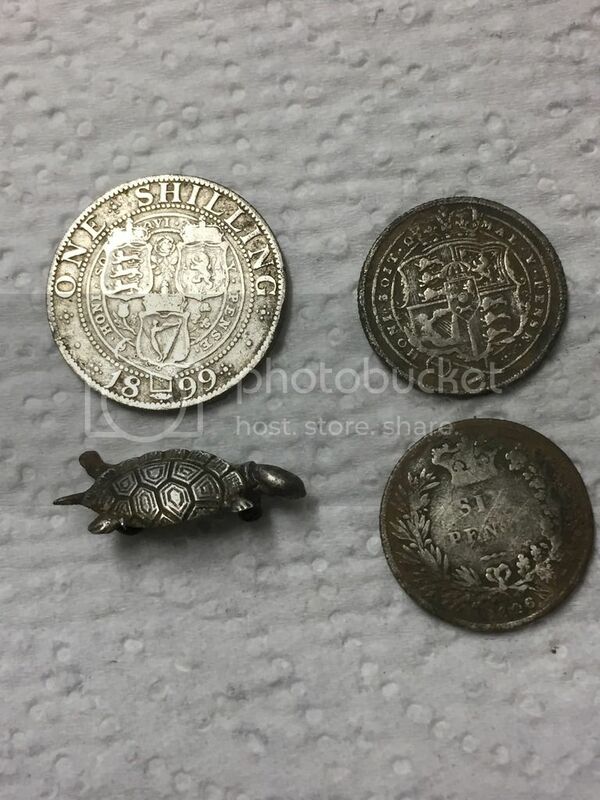 Couple tanners a shilling and a turtle. Well done Jim that's a good day. Doesn't have to be old to be good, well done. Hopefully will be fit enough this weekend. 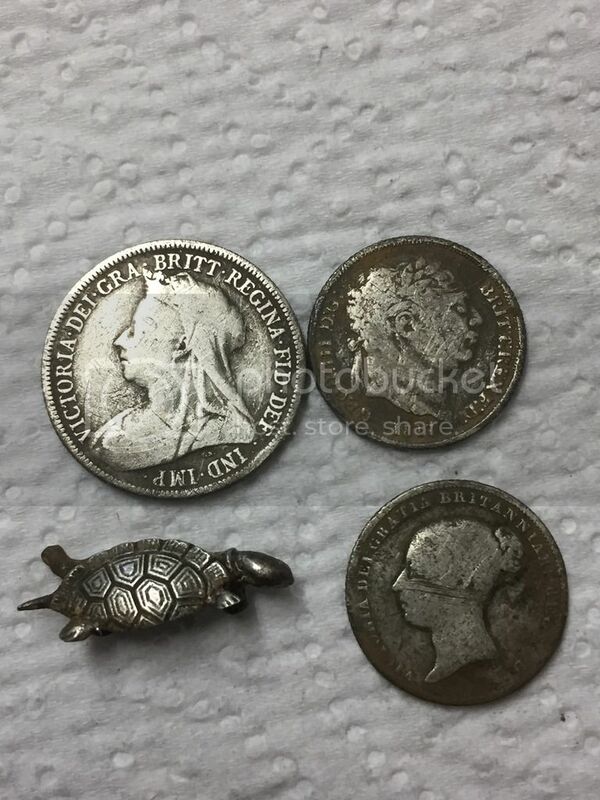 Here is my wee silver from yesterday. Victoria 3 pence. Also found a piece of broken silver spoon. Glad I can contribute to a post about silvers! I had 4 and still not sure what the Peruvian one is (possible a Solero) but a Viccy groat is a first for me! i like your peruvian coin, you had a good day. Here's the odd thing, I am beginning to wonder if one side of that Peruvian coin is not what it seems - I cannot find anything that looks like that side! Looks to have been flattened and engraved as a love token / pendant .. possibly to celebrate a honeymoon holiday maybe ? I have a few Viccy sixpences similar .